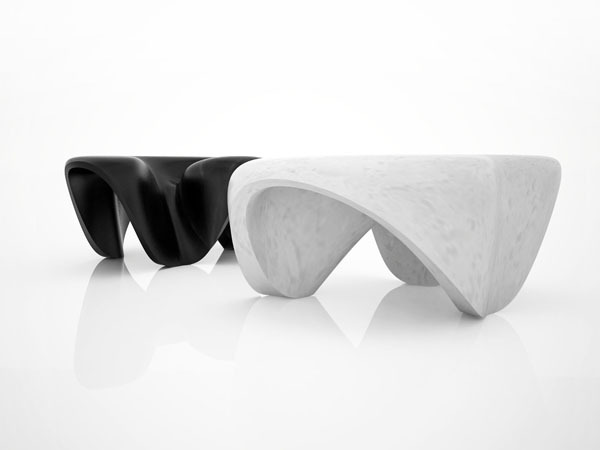 Zaha Hadid has designed a new collection for Citco, which will be showcased at the Salone del Mobile next month. The limited edition collection of three tables combines the grandeur of marble with contemporary, luxury craft. Available in Black Marquina or Bianco di Covelano with gold vein, the organic shapes can be arranged in various ways so that each table can fluidly accompany another.